This perennial shrub really loves our summer heat. And it’s one of the soft blues we can grow that visually cools things down when it’s hot. You can also pair it with a white blooming variety. They bloom non-stop from late spring to the first freeze. In some winters or in protected sites, they may remain evergreen. Other times they will freeze to the ground. Simply cut them back and they’ll re-emerge in early spring. In really cold areas, they benefit from a layer of mulch to protect the roots in winter. 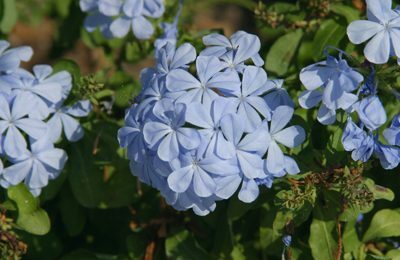 Other than that, plumbago is basically maintenance-free. No need to fertilize or worry about insects. 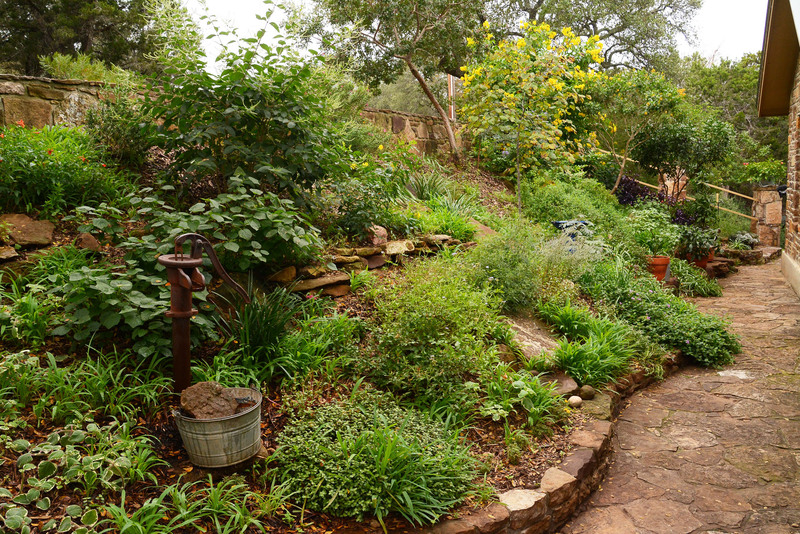 Once established, it’s fairly drought tolerant, but may need supplemental water when things stay really dry. It grows in sun, but it also grows really well in partial shade, as long as it gets adequate light. At maturity, it will be 3-4′ high and 4-6′ wide.